All ACT householders are now entitled to a green bin, but what happens to the waste? Photo: Supplied. 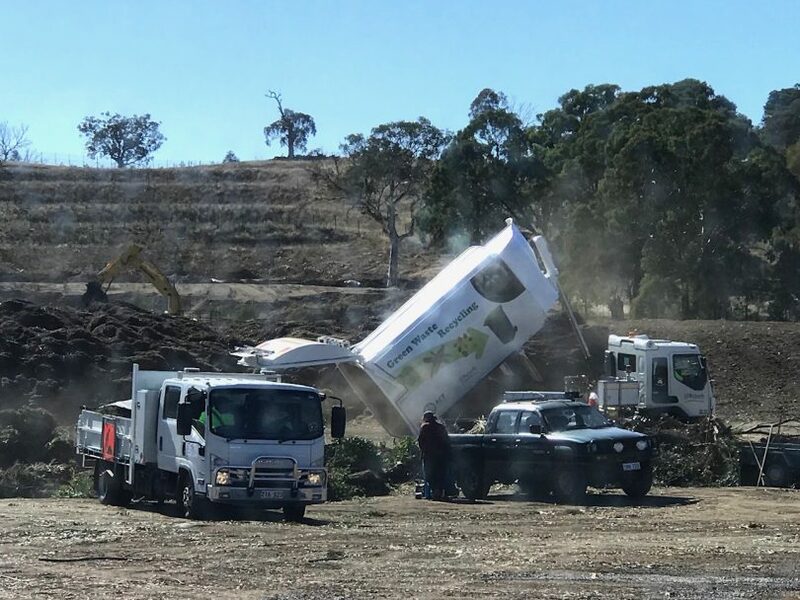 Hands up if you have a Green Bin? Have you ever wondered what happens to your garden waste after the truck empties your bin from the kerb? 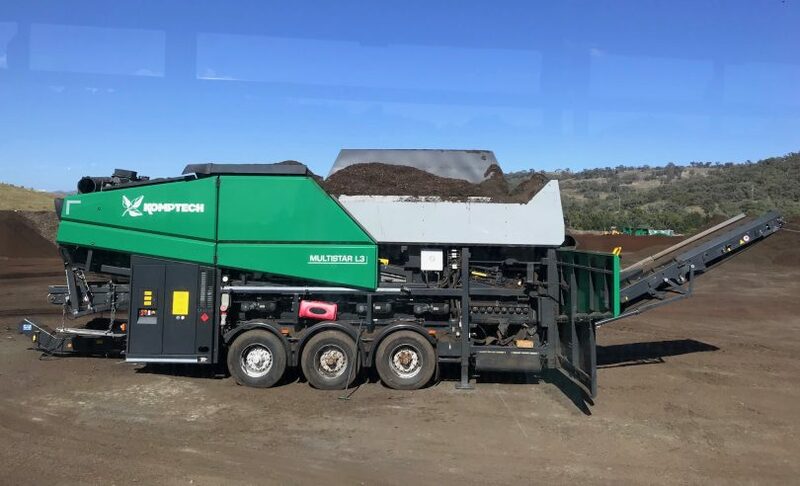 It’s possible to find out: Katherine and Jules from the Green Waste Education Team at JJ Richards & Sons, the waste collectors, run free monthly tours of the green waste processing facility, and I recently attended one of their tours. It all starts with the Green Bin. They cost a $50 one-off fee, but are free for concession holders. Register for one via the ACT Green Waste website. The pilot rollout of Green Bins first appeared in the Canberra streets of Kambah and Weston Creek back in April 2017. Proving popular, it was then extended to Tuggeranong in January 2018, and to Belconnen residents in September 2018. From 1 April 2019, the remainder of the city can now opt-in. The collection schedule has recently changed but collection still begins from 7 am sharp on the day, so don’t dawdle or else the neighbours will see you in your most stylish pyjamas. JJ Richards now has nine trucks in their collection fleet, dedicated to green waste only. They are not the same ones that pick up your garbage or recycling. Processing at the Mugga Lane facility. Photo: Kirsty Young. The trucks offload at the Corkhill Bros facility at the Mugga Lane Resource Management Centre in Symonston. This is the same facility that has freely accepted garden waste from the public for the last 35 years. The loads are inspected thoroughly and any contaminants are removed. By far the most common impurities are plastic bags. The kerbside bins are also regularly inspected prior to collection. Any found heavily contaminated will land the owner with a sternly worded notice and their bin won’t be emptied. Overall the contamination result is extremely low at around 0.05% per cent. So what can go in the Green Bin? No animal waste of any sort. Also, keep your bin below 50kg in weight. A good indication is if you cannot push it to the kerb – then it is probably too heavy. After sorting at the facility, the material is then introduced to The Shredder, a large (approximately) $1 million piece of equipment that grinds the green waste into very small pieces. These pieces are then laid out on the ground in long piles called windrows, for up to three months during summer and for six months during winter. During this time, the material further breaks down, killing off any weeds and their seed in the process. It is regularly checked to ensure there is a good mix of carbon, nitrogen and nutrients. Once a month a machine moves over the rows and churns the material about to mix it even further. Fine forest litter after processing. Photo: Supplied. When the material is ready for use, it is further sorted into two different sizes; coarse forest litter, and fine forest litter. 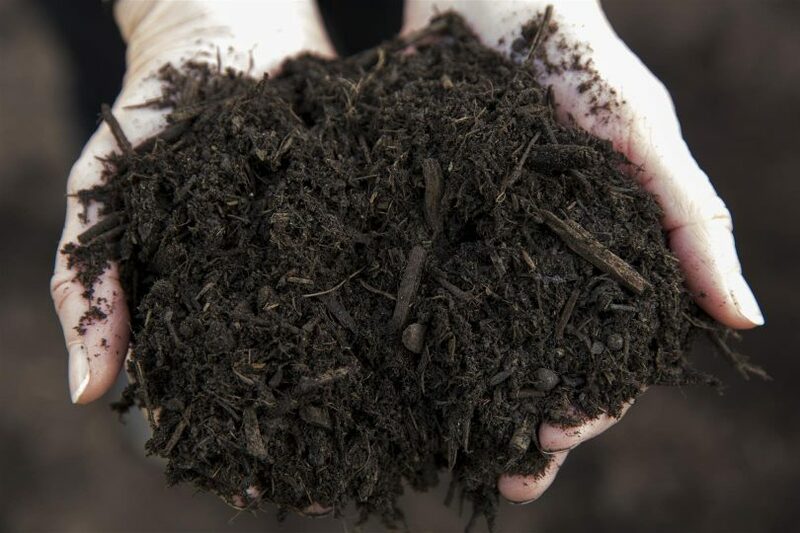 The coarse litter is sold as a form of garden mulch, whereas the fine litter is used as an additive for a variety of soils available from Corkhill Bros such as Super Soil and Vegi Mix. The material is available for purchase and is sold at discounted rates. The material is also used at events such as Floriade. The Shredder is a million dollar mulching machine. Photo: Kirsty Young. The Green Waste Education Team regularly sends out emails to Green Bin holders notifying them of upcoming facility tours. Alternatively, you can search Eventbrite for a ‘green waste facility tour’. Kirsty Young is passionate about the environment and ACT recycling initiatives of our local Government. She picks up rubbish with a community group called Lanyon Litter Control in Conder, Gordon and Banks. Super Soil and Vegi Mix is $48 per m3 on the Corkhill bros website which seems a little outrageous for a claim of ‘discounted prices’. As a comparison value their own ‘Super Compost’ product is $44 per m3. They could at least offer up the bins for free given they are profiteering like a company that has been awarded a government contract teat off of the contents of the bins, or explain why their prices are ‘not actually discounted at all’. At what stage of the process is the smell introduced? At least this seems to be better organised than glass and other recycling in Canberra. Why no food in the green bin?